Home > Tech > Web Development > Domain Names > Does GoDaddy Live Up To Its Super Bowl Hype? Whether it’s a commercial with NASCAR front-woman Danica Patrick, or any other Superbowl-showcased ad on TV, GoDaddy.com has become the face of online domain registration. But since the site launched in 1997, GoDaddy.com has built itself into one of the Internet’s largest domain registrar’s and has added many additional and related web products. GoDaddy goes beyond domain registry and has crossed over into web hosting, page creation, internet security, marketing solutions and much more. But do they live up to the hype? The site boasts that it has over 57 million domains under its management and they claim to be the “world’s largest domain name registrar and hosting provider”. On GoDaddy (and most other reputable web domain registrar sites), you can quickly search for a name that is right for you and lock it down. Once you settle on a domain name, the list of freebies you receive is pretty extensive, and you can add premium features like website hosting, WordPress servers, faster loading speeds and mobile features. If it were our website, we would 100% trust GoDaddy to register my domain – this is their core business and they have a proven track record here. 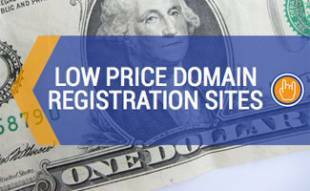 Buy domains from them all day and all night with no worries. However, we have heard mixed reviews about their other services, especially web hosting and customer service for their other services so you might want to stick with their core competency of web domains. Customer service is the main area in which we have heard complaints. There is a support ticket protocol which means you cannot reach a live person to help you out when you actually need one – when your site goes down or is hacked. But, here is an overview of their additional services and pricing just in case. In addition to Domain Name registration, GoDaddy also provides website security and monitoring. GoDaddy offers Standard and Premium SSL protection that includes Malware scanners, secure unlimited servers, 256-bit encryption and 24/7 customer support. GoDaddy also employs security experts who are available via email or phone to help you troubleshoot any security concerns and make sure your site is free from malware and hackers. Your site will receive daily scans to make sure no suspicious activity is happening without you knowing about it. Any odd behaviors will be flagged and brought to your attention promptly. In years past, it was nearly impossible to design and build web pages without knowing how to write code. Many companies have made this easier in recent years (think WordPress, Squarespace, etc.) and GoDaddy has also entered this market. They have a service to help you design and build your own website and allows users to customize to their individual needs. However, for those who do have advanced development skills or a desire to learn the basics, there are web development options as well. If you aren’t the creative type, GoDaddy also has design experts who will listen to your ideas and create a custom page you will be happy with. The design team can also handle setting up a professional Facebook and other social media brand designs. All of these more customized features can be bought for an additional fee. After your site is launched, it is important to draw interest to your webpage. GoDaddy’s team of marketers can help you with SEO strategies and social media marketing if you aren’t market-savvy. Email marketing, social media marketing, survey and email list building, as well as real-time analytics are all available to GoDaddy customers. With GoDaddy’s marketing tools, you will be able to track when and where your audience is interacting with your site and target additional marketing tactics to better reach your specific demographics. The reports are easy to read and easy to understand, but expect to pay for even the basic tools. And keep in mind that you can integrate analytics for free from google with their Google Analytics tool so you might want to start there. GoDaddy has a range of options when it comes to email service that allows you to choose the number of email addresses you want associated with your website and the amount of storage you’ll need. There are also different features for personal and business emails that you’ll want to check out before you buy. The email features are pretty impressive, offering users desktop apps and calendars for all packages. Mobile email is only available through some of the more deluxe packages which is a setback, but even those packages are only $1-$3 more per year to have which might be worth it for people on the go. Or you can likely sync up your system with your mobile phone’s mail app or the free Gmail app and save yourself a few bucks. As you can see, depending on your wants and needs, you might find additional costs associated with design, security, and marketing. 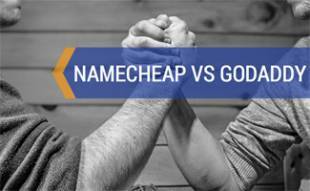 Each domain name is different and every package is unique, so make sure you talk with someone at GoDaddy about what your specific charges will be before you sign up. As we mentioned above, there are a lot of mixed reviews online and it seems like the overall customer service is spotty at best. We understand that when you are a big company, there are always going to be negative reviews, but we are concerned about the number of negative experiences out there. There is a great FAQ and troubleshooting section on GoDaddy’s website which would be helpful for basic questions. But, if you have a large online presence and are looking for a more consistent customer service experience, GoDaddy is probably not the best option for you outside of domain registration. One interesting service we found that seems unique to GoDaddy again falls in their domain buying area of expertise. 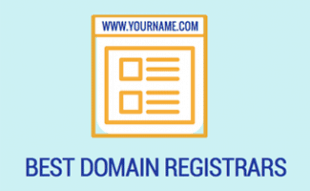 They will notify you when similar domain names open up to what you are looking for and offer you the opportunity to buy them to either upgrade your existing domain name, or buy similar names and have those URL’s rerouted to your site which is a nice service. GoDaddy has come a long way since it began more than 15 years ago and the amount of options you have for creating and customizing your little corner of internet space is nearly endless. The biggest downside we found was mixed customer service reviews and hidden costs. So be sure you understand what you are buying and don’t try and go overboard with the many add-ons they offer. 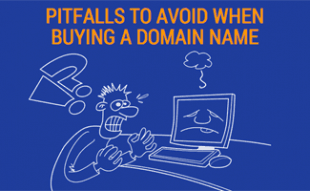 GoDaddy delivers a range of solid products that are sure to make those new to buying domain names happy but you might want to keep it to that when it comes to working with this company. GoDaddy Webmail And Online Storage: In short, they’re not very good. When writing a new email, the system times out even while you’re typing–that is, keystrokes do not signify that the Compose window should remain active–and when the window closes, the system doesn’t save what you have typed. You have to draft your emails separately then pasted them into the window. The webmail doesn’t allow mass imports of whitelist and blacklist senders. When reviewing emails, it requires multiple clicks to delete an email and return to the list of unread emails. And when I travel outside the US, I sometimes can’t connect to the webmail at all. Online Storage is okay but the syncing with Outlook is buggy and unreliable.